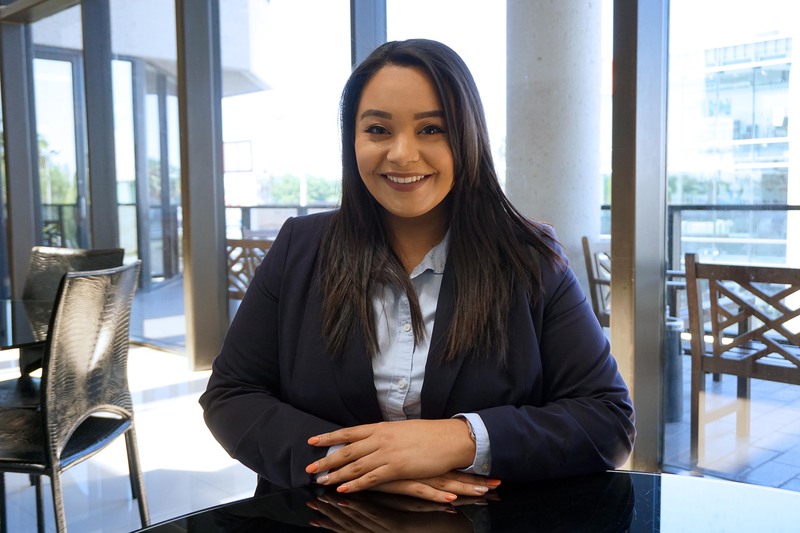 TEAM MEMBER SPOTLIGHT SERIES: Michelle Torres | Lucio Marketing, Inc.
Meet Michelle Torres, an essential team member here at Lucio Marketing Inc. We are very excited to have Michelle on board our ever-growing team. Michelle graduated from Texas A&M University Kingsville with a Bachelors of Business Administration in Management. She came into the company eager to become an Account Manager. 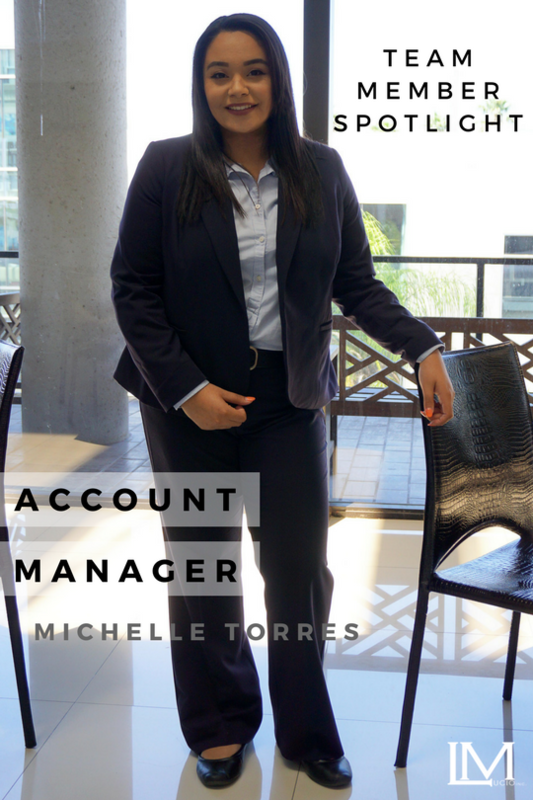 With the right training and motivation, Michelle became one of our top Account Managers in no time. Now Michelle has gone on numerous company trips, networked with other marketers from around the nation, has developed into a great leader, an outstanding Account Manager who is helping shape our business, and our featured Lucio Marketing Team Member this week in our Team Member Spotlight Series. Like all our Account Managers, the skill Michelle brings to the team is greatly appreciated. A: I've been with the company for about 6 months. A: The opportunity to provide for my family and myself with a better future. A: The team environment and how motivated we all are about the business. A: The fact that I can provide someone the same chance that I have at a great career. A: I like reading, working out, and watching movies. A: Music, any mood can be fixed with a certain song. A: The gym or a park. A: I was so scared of talking to people and very into my shell before coming into Lucio Marketing but now I walk with more confidence, I speak more, and I am able to communicate better with the people I train. A: It’s very fun! We are all happy people and we all get along really well. A: So many! Road trips, team nights, learning new things! As well as going on the company trip to the Dominican Republic. A: My whole trip to the Dominican Republic, I got to go to another country, and stopped on the way to New York. It was unbelievable! A: Up-beat music, like dance music. A: Work on being the best you that you can be. A: Being so motivated to go out and work on my health with my weight loss journey as well as being able to believe I can do anything I set my mind to. A: If you have goals, we can help you accomplish them if you are willing to put the work in it. A: Come prepared to learn, the opportunity is here. A: Just super excited to get back on the road, new markets here we come! If you want to find out more about Michelle Torres’s work or about Lucio Marketing and what we do, follow us on our social media channels.